Hartmann wellheads with integrated ball valves are distinguished by their special robustness and long service life. In the extraction of oil and gas a multitude of particles and concomitant materials are entrained in the medium flow. This places high demands on the shut-off valves. For more than 70 years Hartmann products, with their robust and individually tailored design, have provided the highest level of safety – even with dangerous and corrosive media such as sour gas, sour oil (H2S) and CO2. An experienced service team is available around the clock for assembly service, repairs and maintenance work. In both conventional wellhead design and in solid block design, metal-to-metal sealing ball valves provide the highest level of safety. 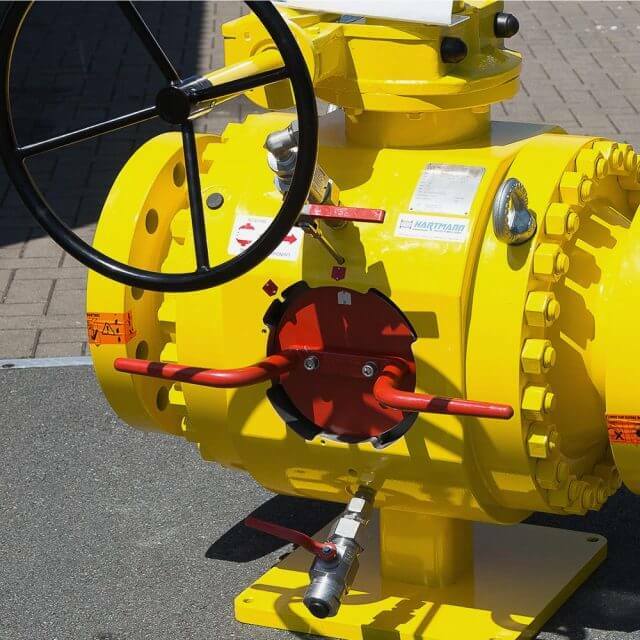 Wellheads with gas-tight ball valves have proven themselves to be very successful on the market. 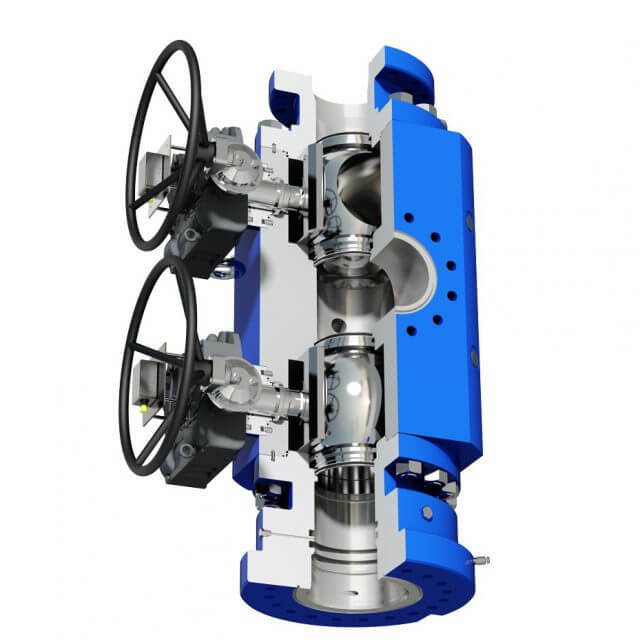 Our API 6A conformant wellheads are fitted as standard with metal-to-metal sealing ball valves which are also gas-tight. In comparison to gate valves they offer a very high level of safety as they have a lower tendency towards blocking, are subject to less wear and don’t have to be filled with grease which can contaminate downstream plant parts. Thanks to the metallic sealing between ball and seat ring, Hartmann ball valves fulfil a leak rate of A or 0 and are especially robust and require only little maintenance. Additional safety is provided by a second barrier (DIB 2). Decisive for the long service life is an appropriate material selection as well as surface treatments and special coatings – against corrosion, for example. Hartmann wellheads are adapted to individual customer requirements as conventional or integrated designs. 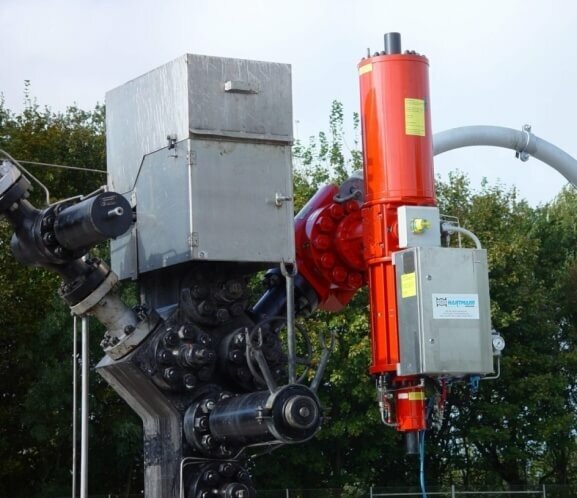 This wellhead for sour gas production is equipped with a quick-closing valve with the appropriate actuator. 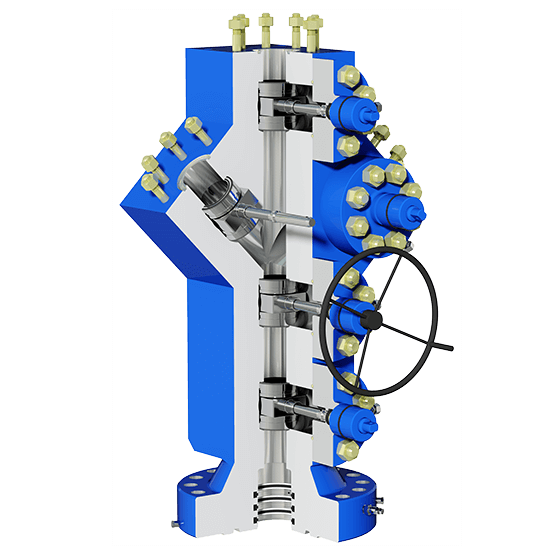 With the integral design the functions of several valves and wellhead components are brought together in one component. By this means, not only is the installed height minimised but by saving on flanged connections, safety is increased above all. Added to that, the installation time is reduced, corrosion-prone nuts and bolts are dispensed with and an absolutely perpendicular installation with uninterrupted diameter is a given. In the area of oil extraction, Hartmann ball valves are also suitable at high temperatures in the steam applications used to fluidise the oil. In this regard the viscosity is lowered by steam injection at high temperatures. Clever concept: the Hartmann pig valve replaces complex launching and receiving stations. Scrapers lend themselves to the cleaning of paraffin deposits or water condensate. 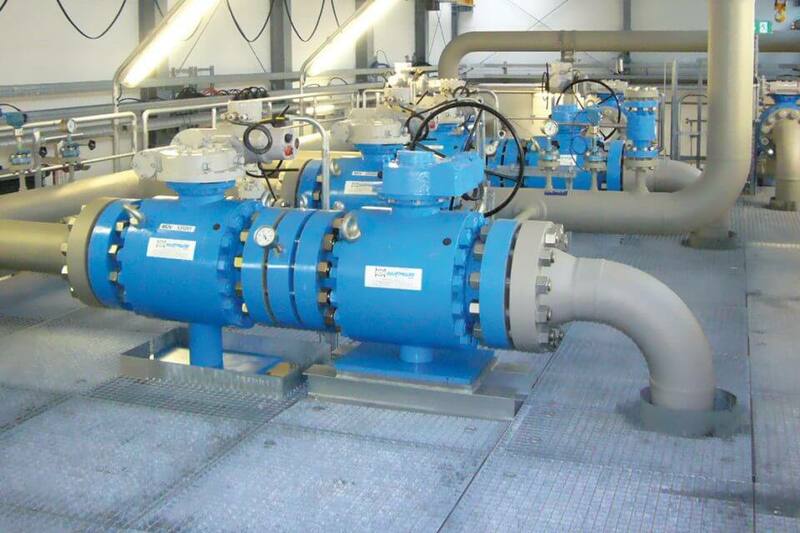 Hartmann pig valves offer a space and cost saving alternative to complex pig launching stations. In addition to the conventional application as a shut-off valve, the pigging valve functions as a sending or receiving valve for pigs.The pig valve can furthermore be deployed for separating various products in a pipeline. This concept has two independent safety barriers when opening and requires no special tools. Hartmann pigging valves are deployed, amongst others, by well-known oil concerns as a global standard solution. You will find our ball valves here. To get to the wellheads, click here. Find out which customers have successfully deployed our products.